The broadcaster offers early retirement and voluntary redundancy schemes in a bid to cut its €34m shortfall. RTÉ HAS CONFIRMED it wants to remove 70 people from its payroll through a combination of voluntary redundancies and early retirement. The combined schemes will cost the broadcaster around €10m initially, but will save it around €5m in wage costs in future years. Staff accepting the voluntary redundancy package will receive six weeks’ pay for year of service, capped at 130 weeks, while staff aged 55 or over are entitled to lump sums of up to €60,000 depending on their age and service. 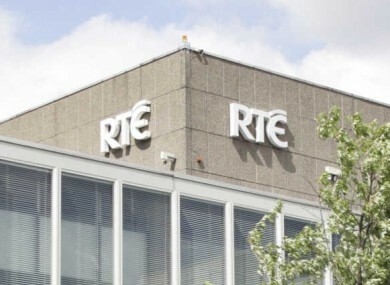 RTÉ said the plans were necessary in order to help make up an expected budget shortfall of €34m this year, and described its offers as “prudent”. The broadcaster’s top presenters are expected to take pay cuts of around 30 per cent from their peak, in further efforts to reduce RTÉ’s budget shortage. Email “RTÉ's cost-cutting programme will see 70 jobs lost”. Feedback on “RTÉ's cost-cutting programme will see 70 jobs lost”.